To purchase online digital images from our collection, click here. Unless otherwise specified, there is a $5.00 shipping and handling charge for each item. For international shipping, please add $15.00. Mendocino boasts some strong and remarkable women in its past. This volume honors and remembers some of them. For anyone who loves Mendocino, who lives on the Coast or claims some piece of it for themselves, discovering our foremothers can be transformational. This is a work of art and coloring book by the artist Streetcolor, known locally for yarnbombing Mendocino, and widely known for her interactive drawing and coloring projects, and urban textile installations done in collaboration with many California museums. 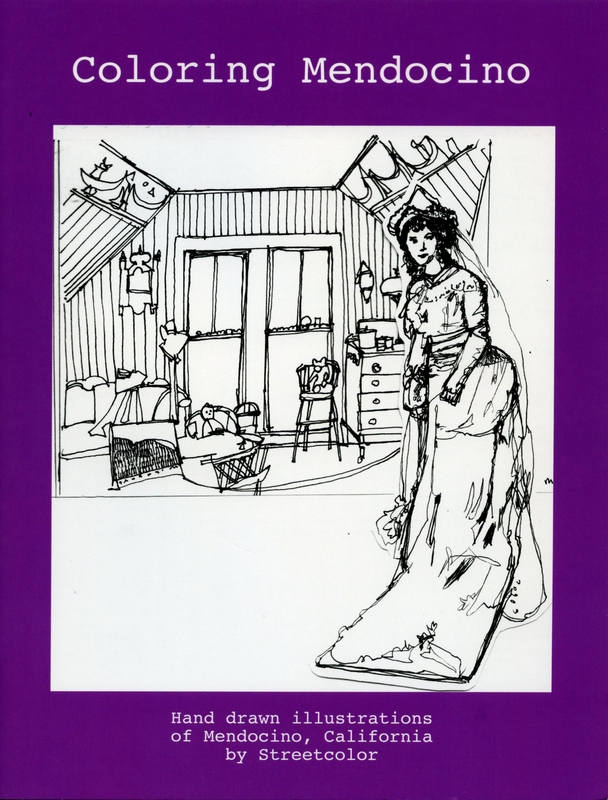 She has drawn 28 historic or contemporary scenes, some featuring early settlers drawn from photographs. Ginny lives in Pine Grove, Mendocino County, California. She is not pleased with her eighth-grade class assignment, which is to write an autobiography. To make the task more interesting, she decides to create an illustrated autobiography. A Kelley House Museum Review. Thomas Petersen built about three dozen wooden vessels: sailing schooners, a barkentine, steam schooners, steam tugs and lighters. Since most of ships were built on the Mendocino Coast, interest in his work here continues. Hough’s book is the first of its kind to document Petersen’s life and works, from his arrival in San Francisco from Denmark in 1857 to his final years in Seattle. In 1914, Petersen dictated his memoirs which provided much of the information that Hough used in this publication. 59 pages. History, architecture, ethnic factions, climate, family histories — it’s all here. Tons of photos. For a good, single overall history of Mendocino life for 120 years, this is it. A Kelley House Museum Review. Geology, climate, redwoods, natives, explorers, logging, settlers, transportation, immigrants and architecture are all covered with more than 40 black and white photographs. A Kelley House Museum Review covering the history of Mendocino and coastal growth during the logging years. More than 50 films from 1904 to 2001 used local scenery and local actors in productions. More than 200 black and white photographs. 144 pages. From the Sonoma County line to the Humboldt County line a century ago.. A tribute to the creativity and perseverance of the common working man. Images of America series. This Kelley House Museum Review covers the purpose and history of the water towers of Mendocino–both those gone and remaining. Meet the Ford family, founders of Mendocino. Learn about Henry Meiggs and the Mendocino Lumber Company and years of early local history. Written by a descendant of the first Chinese settlers in Mendocino, this book looks at occupations, how they were portrayed in the media, the Mendocino Temple of Kwan Tai and family histories. A Kelley House Museum Review. Stories and photography on the history of the Mendocino Volunteer Fire Department. Recounts the great fires since 1870, countless heroic rescues and the camaraderie and struggles involved in keeping an all volunteer force intact from 1887 to the present day. 49 pages. 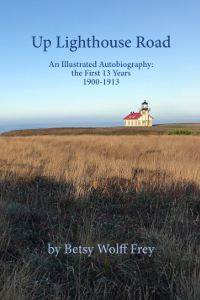 A collection of over 200 stunning and historic photos by Perley Maxwell an amateur photographer who traveled along the Mendocino Coast during the late 1800s.128 pages. A Kelley House Museum Review. Why did the coast need a reservation? Where was it? Why did it close? Learn the history of very early times in Fort Bragg. Find out the news in Mendocino on any date in four selected years. Each month includes collections of photos and a historically detailed map of the town. A Kelley House Museum Review. Oral history interviews, newspaper research and 30 black and white photos on the impact of government building projects and individual initiative during financially strapped times. A Kelley House Museum Review. From the 1860’s to 1914, Wells Fargo agents were the business links to the outside commercial world. Learn about Wells Fargo’s presence in the town of Mendocino and their contributions to the Coast. 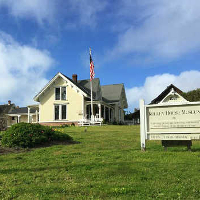 This Kelley House Museum Review covers the history of the Mendocino Study Club over its 100 years of club activities and community projects. 20 pages. A Kelley House Museum Review featuring the history of the local Hare Creek Surfer Club, whose members traveled along the Mendocino Coast looking for waves. 31 pages. A Kelley House Museum Review capturing the history of the Light Station and light keepers, and explaining the restoration of the buildings and property. 24 pages. Why did the Coast need this lighthouse? What was life like then? How was it saved and restored? A history of the Light Station and its Third Order Fresnel Lens. Images of America series. B&W photos. A Kelley House Museum Review. The story of the short troubled life of a lumber schooner built at Happy Valley along the Albion River in 1904. This Mendocino Historical Review recounts how Charles Pullen and Isaiah Stevens, early Little River pioneers, relocated with their families from Maine in the 1800s. Largely reconstructed from the diary of Etta Stevens, daughter of Isaiah. This Kelley House Museum Review contains over 70 photos, press stories and the recollections of the people of Mendocino about the 1954 filming of this classic movie. 72 pages. A Kelley House Museum Review. Comptche, a small rural community in a mountainous area of Mendocino County did not have a fire department until 1964. After several devastating fires and a strong sense of self-sufficiency this group of volunteers is now a centerpiece of the town, strongly supported by the residents. 39 pages. With an introduction by Bruce Levene that captures the spirit of the back to the land movement on the Mendocino Coast in the late 1960s and early 1970s, this book is a collection of cartoon strips by Mervin Gilbert who moved to the North Coast in the 1970s and began creating drawings for various publications in Mendocino and San Francisco. 176 pages.